Does your child have year-end field trips coming up...maybe to the aquarium? 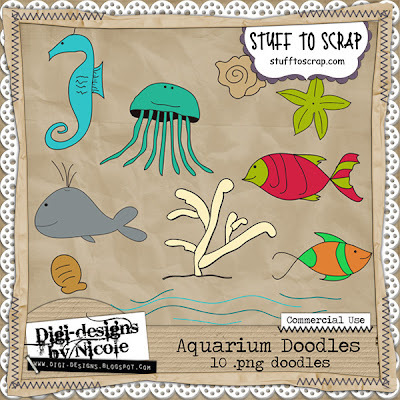 Digi-designs by Nicole has her cool Aquarium Fun kit and quickpages in the bin, along with her Aquarium doodles. 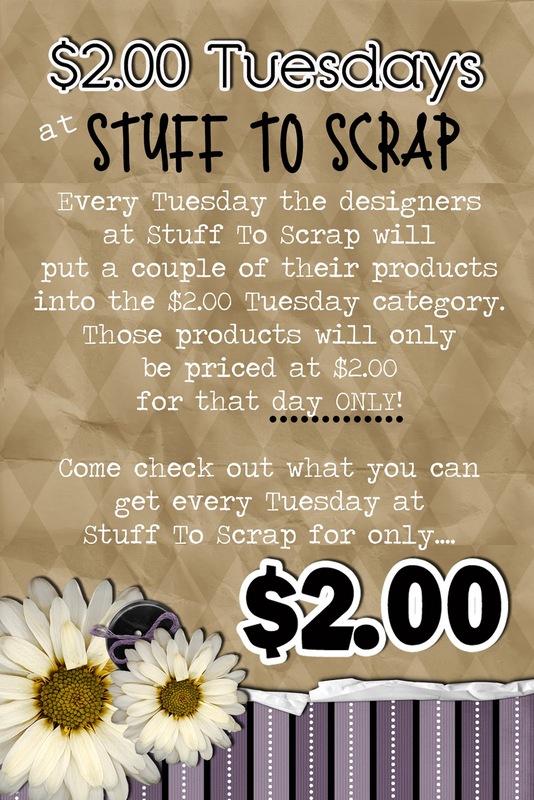 This week AmyDane Designs has two of their most popular teen/boy kits in the $2.00 Tuesday bin at Stuff to Scrap! 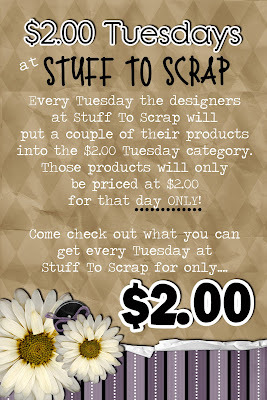 You can head HERE to the STS $2.00 Bin or HERE to the AmyDane Design Store! Graffiti and Game On! are both HUGE kits. At $2.00 these kits are a steal! Game On! is an awesome teen basketball kit! Not limited to only boys, this kit is so big it is sure to have something for every style of baller! There are over 70 elements, 21 papers and a full alpha. The Game On! 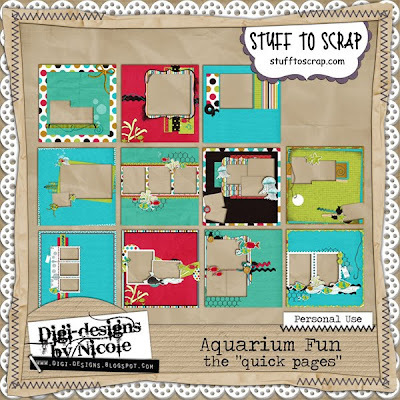 coordinating QP Pack is also ginormous with 16 12x12 Quick Pages! You don't have to be into grunge or skateboarding to love this kit! Graffiti is so versatile there are even a few flowers for your teen girls! 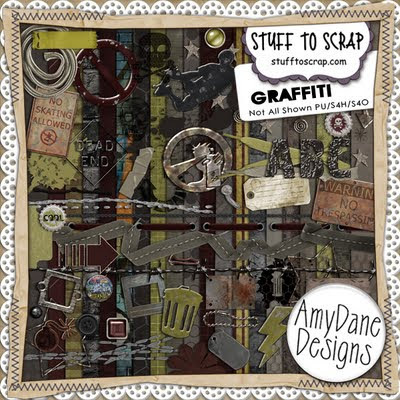 Graffiti has 1 full alpha, 69 embellishments, 4 photo masks, 4 Word Arts and over 30 papers! 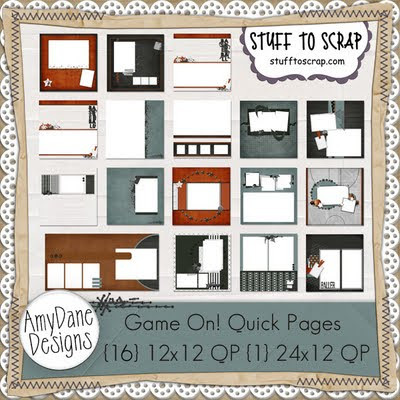 The Graffiti Quick Page Pack, with 13 12x12 Quick Pages! 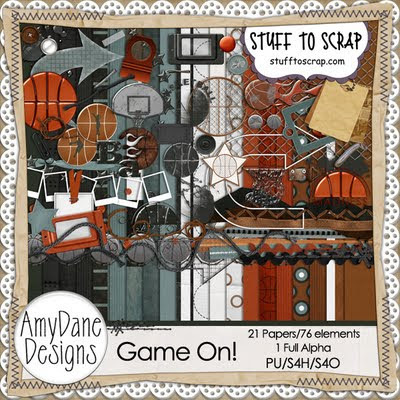 Head HERE to the STS $2.00 Bin or HERE to the AmyDane Design Store! It’s that time of year when people are planning their Summer vacations. School is almost out for the year. 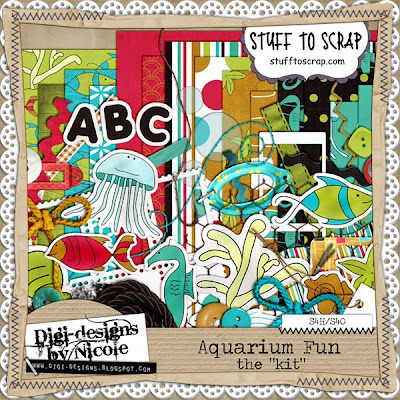 Just in case you are planning on going to Disneyland, Disneyworld, or the beach or lake, Scraps 'N Pieces has kits that are perfect for scrapping those pictures. They have their Where Dreams Come True kit and QP pack along with our Surf’s Up kit and QP pack in the $2 bin on Tuesday. Images are linked – Enjoy! 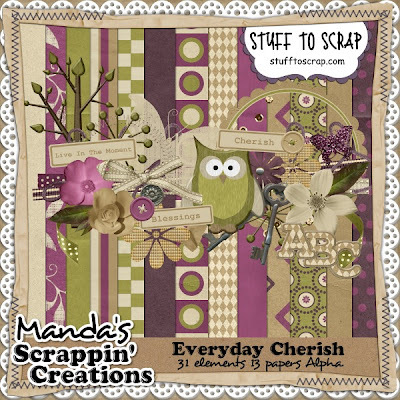 Manda's Scrappin' Creations has her Brag Book Templates and her Everyday Cherish kit on sale for $2.